Soon-to-be brides and grooms, we’ve made your decision easy. The Knot is the best wedding website builder you’ll find out there. Save time and stress by integrating The Knot’s full range of wedding planning tools into your website so you can manage every aspect of your wedding plans from one place – all for free. For today’s couples, a wedding website isn’t a high-tech gimmick, but a true necessity. At its most basic, your wedding website will communicate with your guests for you, sharing important details about your big day and saving you the hassle of dozens of phone calls from distant relatives. When you choose the most functional and customizable wedding website builders, your site can do so much more. 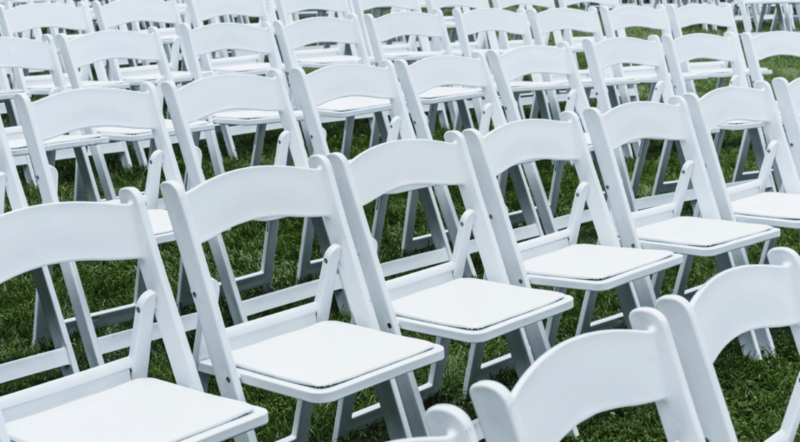 Cut out the cumbersome spreadsheets for tracking RSVPs and seating charts. Remove yourself from the conversations (and obligations) of providing lodging information for your out-of-town guests. The right wedding website doesn’t just give your celebration an online presence and a pretty design. It can make wedding planning easier, removing the logistical worries and allowing you to really enjoy wedding planning. It’s no secret that the soon-to-be-married are some of the most stressed people on the planet, but what many people don’t know is how much of the work a great wedding website can take off of your plate. RAVE Reviews has done the homework for you. Read on for the very best wedding website builders out there, and start feeling excited about your big day again. Dearly beloved, we are gathered here today to help you choose the perfect wedding website builder. 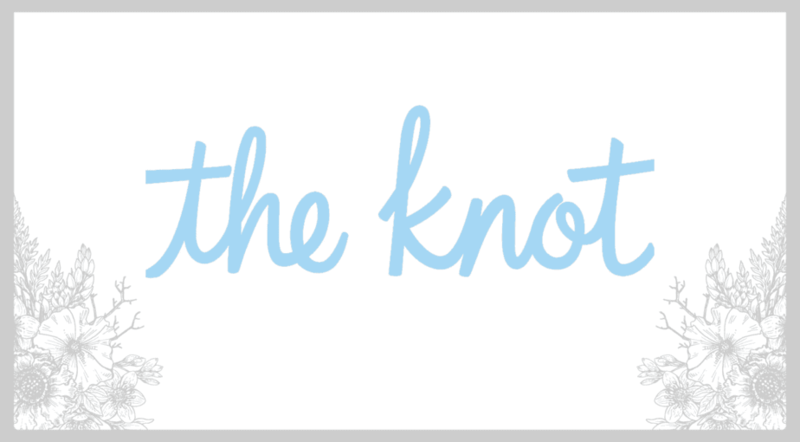 For more than 20 years, The Knot has been helping couples plan their dream weddings. The site offers an array of tools that range from a full-service vendor manager to guest list technology that makes compiling contact information easy. Using The Knot’s site builder lets you seamlessly integrate these planning tools into your customized wedding website. There’s an app for just about everything – so why not your wedding? 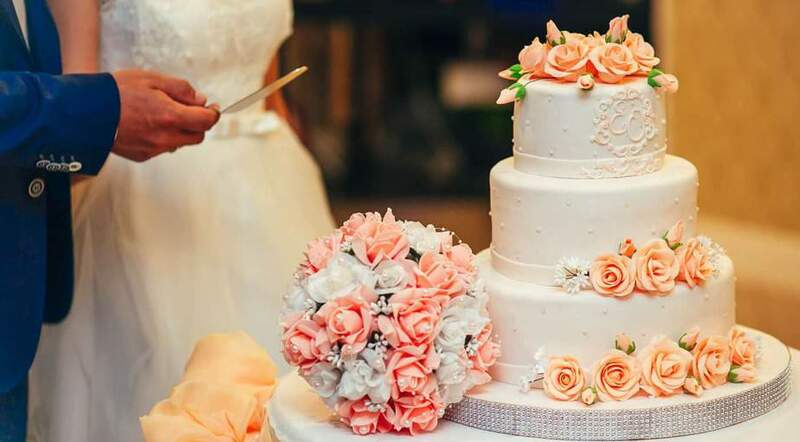 Appy Couple offers some of the most innovative features in wedding websites, including a personalized wedding app that your guests can download for free so that your wedding information is always at their fingertips. Save your wedding budget for the details that will make your special day extra special. For the frugal couple, the 100% free wedding website builder Joy offers great features usually found only in paid services. This means it’s safe to use Joy without being tempted to blow your wedding budget on add-ons and premium features. What is a wedding website for, anyway? Think of your wedding website as the ultimate guide to your wedding. Of course, the focus isn’t only on function. Creating your perfect wedding website, especially together, helps you get psyched for your big day. It allows you to really dive into the wedding-planning mindset by thinking about what information you want your guests to know. What do you need on your wedding website? At minimum, your wedding website should have the date, time, and place of your ceremony and reception. Think of it as a save-the-date that your guests can check from anywhere. Don’t get caught in a game of telephone. (Your second cousin told your cousin who told your aunt who told your mother that they need you to call them…) Give guests an easy way to get in touch with you online if they have questions. Don’t worry, you don’t have to make your personal info available to the world. Wedding websites can be set to private, requiring guests to have a password or access code to view them. Whether it’s just the timeline for the ceremony and reception or the schedule for a jam-packed wedding weekend, let your guests know what to expect. If you have guests arriving from out of town, or guests who may want to stay near your venue so they can have a few drinks without worrying about driving, they’ll need to know where to stay. You may not have time to do all that research yourself. Fortunately, some of the best wedding website builders recommend hotels for you. Automating as many tasks as possible frees up your time and energy for the important decisions. You can certainly send out printed invitations, but many folks are choosing to have a paperless RSVP option, either along with or in lieu of traditional paper invitations and response cards. Letting guests RSVP through your website is better for the environment, better for your wallet, and easier to keep track of than printed notes that could get lost, so it’s an idea worth considering. The wedding planning website is a great place to include information that doesn’t belong on the invitation, but that you want guests to know. Subtly suggest to your guests that you’d prefer money for the honeymoon over material gifts? Check. Make sure everyone (even your spouse-to-be’s crazy uncle) understands that it’s a black-tie formal dress code? Check. Announce that you’re having a cash bar? Check. The information that might be seen as a scandalous breach of etiquette to include on the invitation is welcomed on your website. When wedding websites first became popular, they seemed like just another trend. Who knew they would quickly go from a just-for-fun add-on to a fully functional element of wedding planning? Today’s wedding website builders offer whole suites of useful tools that make planning your wedding easier, more efficient, and less labor-intensive. The best wedding website builders allow you to track RSVPs, message guests, integrate your registry with ease, find and manage your vendors, and get hotel recommendations delivered to your dashboard. Some builders offer bells and whistles, like options for guests to contribute to your wedding playlist or photo gallery. Whether you’re planning a stunning fairytale wedding or a laid-back, breezy affair on the beach, you want your wedding website to match your style. That means you need plenty of design options with customizable layouts. Wedding website builders have dozens, if not hundreds, of designs to choose from. Options will range from simple to elaborate, so there’s something for every taste. Some wedding website builders even have themes that correspond to designs for paper invitations and stationery. How do you compare wedding website builders to determine which service is the best? Our research team meticulously examined every aspect of the services that site builders have to offer. We looked at the features that most appealed to the tens of millions of engaged couples as they planned the weddings of their dreams with these site builders. Read on. Your perfect wedding website awaits. Approximately 25 million couples have planned their dream weddings with the help of The Knot’s wedding planning website, apps, magazines, and books. When you build your wedding website through The Knot, the service flawlessly integrates all of your wedding planning tools into one easy-to-manage place. The Knot wedding website builder is so easy that you can have your free wedding website up and running in minutes. Allow your guests to easily find your registry or send you cash gifts by integrating third-party retail registries and The Knot Newlywed Fund. Track your RSVPs (including meal selections) and message guests with The Knot’s top-rated mobile app. The Knot offers everything you need, though some bells and whistles may be missing if you’re looking for something with robust customizability. To take advantage of this builder’s potential, you should use The Knot’s full suite of wedding planning tools so that you can access everything you need from your wedding website’s dashboard. Next up is Joy, which we’ve named Best for Couples on a Budget because it offers so much for free. It costs nothing to create your own downloadable wedding app through Joy. To put that in perspective, other website builders offering apps can cost up to $150. The site builder offers plenty of customization options to create a wedding website that matches your style perfectly. You can easily import guest lists and send in-app notifications. Matching invitations are available. 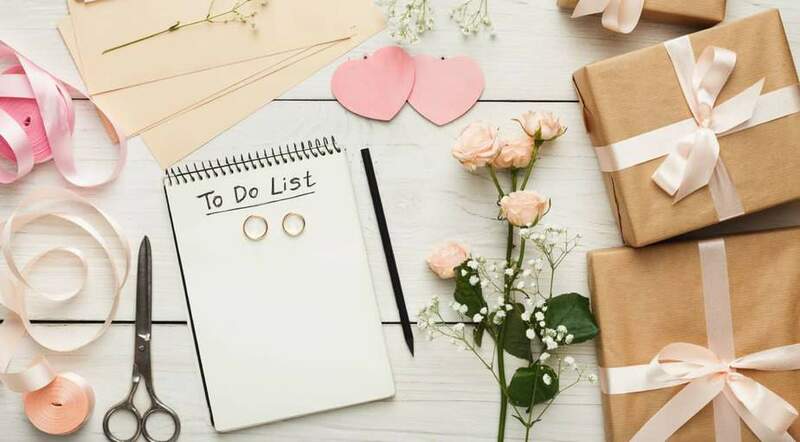 Joy doesn’t have the extensive wedding planning tools available from The Knot, so you may still need another website for planning your big day. You can’t manage RSVPs for multiple events, like a full wedding weekend complete with rehearsal dinner. You’ll have to add wedding registries manually, which could be time-consuming if you have numerous lists at different retailers. All in all, though, Joy offers an unbeatable value for cost-conscious couples who want their own wedding app. For the best downloadable app to help guests navigate your big day from their smartphones, Appy Couple is the wedding website builder for you. Appy Couple’s free-to-download apps tend to be more stylish and offer a greater range of functionality than Joy’s apps, but you’ll pay for these benefits. The app and other features of Appy Couple make this site builder a shoe-in for the category of Most Interactive Features. Don’t just import a guest list – sort it by household and track detailed responses to custom RSVP forms. Create as many events as you need for your wedding plans, and invite only the guests you want to each event. If you’re not sure guests will want to download your app, or if you prefer functional to flashy features, the site builder might not be worth the price. 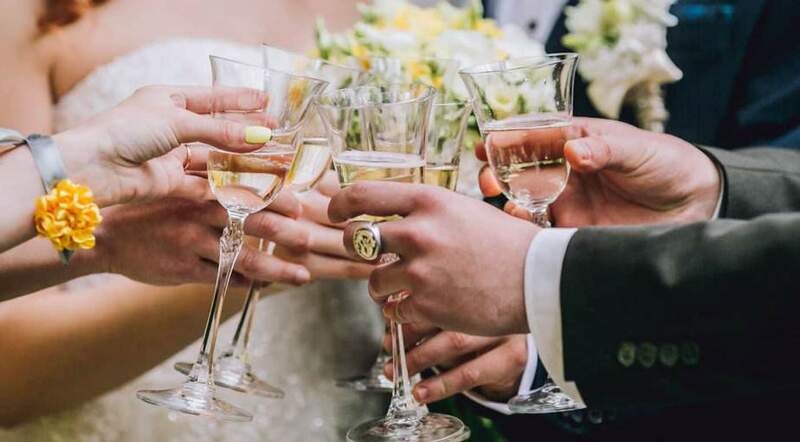 Couples who want features like photo sharing, live-streaming the ceremony, and virtual toasts may be willing to spend the money. 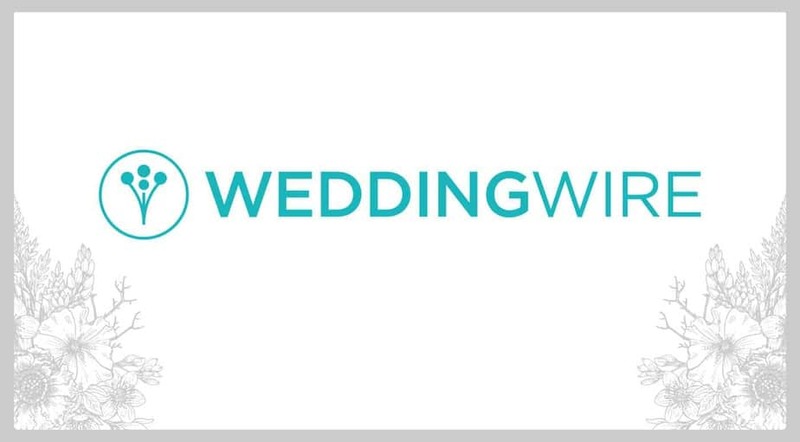 Like The Knot, WeddingWire is a one-stop hub for all of your wedding planning activities. From setting your budget to exploring venues and developing seating charts, it’s all possible through WeddingWire. You can integrate these tools into your free wedding website automatically. WeddingWire has only been around for about half as long as The Knot. This service is known more for connecting couples with vendors than for inspiring wedding planning ideas. Some folks have expressed that, despite the sheer volume of templates available through WeddingWire, they chose The Knot because they preferred The Knot’s designs. When users have praise for WeddingWire, it is more often for forums and planning tools than for the website builder. That said, WeddingWire offers plenty of great features, from privacy settings to logistics management. Enjoy extras like integrating flight and hotel searches for out-of-town guests without sacrificing the dependable basics, like managing RSVPs. 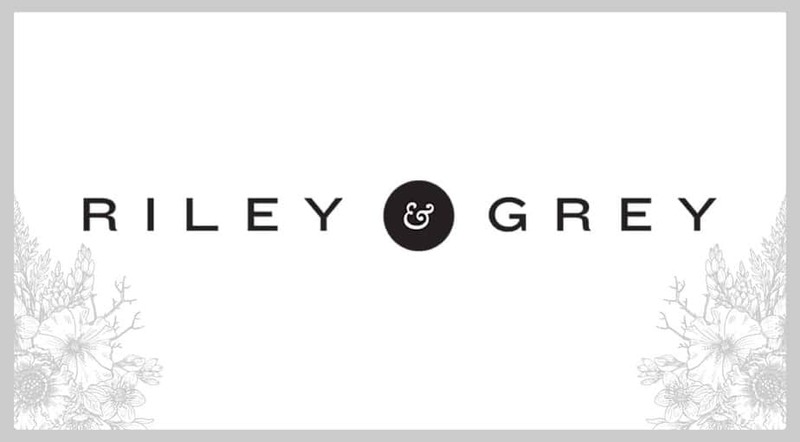 As a “luxury” wedding website builder, Riley & Grey offers elegant runway fashion-inspired design templates. The limited-time availability ensures the uniqueness of a couple’s website design. If your number one priority is making a site that stands out, Riley & Grey is the wedding website builder for you. The website builder does offer some great features beyond luxury design. Its signature RSVP forms are customizable mad-libs that allow you to capture the necessary stuff (number attending and entree selection) and the fun stuff (song requests and accommodations). You can get corresponding luxury invitations printed through Riley & Grey’s partners. Spending hundreds of dollars per year on a Riley & Grey website can really cut into your wedding budget, and some couples report spending many hours perfecting their site. The site builder doesn’t offer much in the way of unique functional features. However, if you can justify a bit of extravagance, you’ll be rewarded with a striking wedding website like no other couple’s. 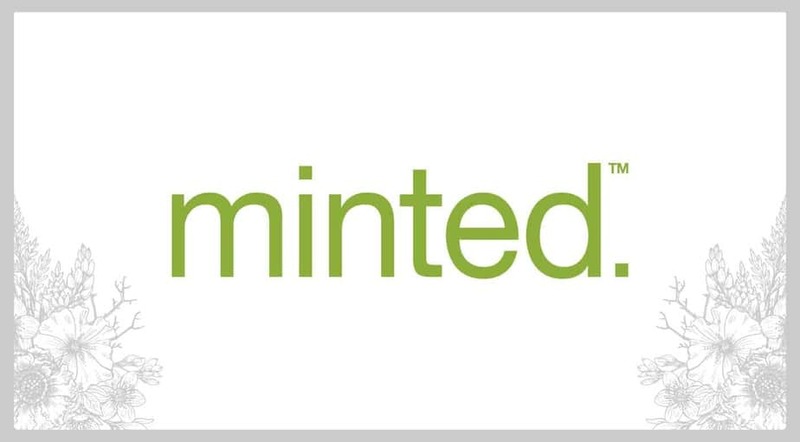 You know Minted as the crowdsourced design marketplace. But the company known for curating beautiful work by independent artists also creates equally beautiful wedding websites. There’s nothing cookie-cutter about these designs. Artists across the globe participate in Minted’s design challenges, submitting 2,000 entries weekly. Minted produces winning designs as decor, stationery, and website templates. As with Riley & Grey, the primary reason that couples choose Minted for building wedding websites is design. However, Minted’s free websites offer beautiful designs at a price point far below Riley & Grey. Even the premium package offers functional features for an affordable one-time cost. If you’re neutral about printed invitations perfectly matching your site design, or you want to manage wedding planning and your wedding website all in one place, Minted isn’t the right option for you. However, if you’re all about the look of your site and you don’t mind paying $20 for great premium features, Minted is a fantastic choice. Wix is another name you know, but not as a wedding website builder. This all-purpose platform features easy-to-use drag-and-drop tools. You can edit your website with no coding experience. Because Wix isn’t specially made for engaged couples, it doesn’t offer some of the functional features that specialized site builders have. While Wix offers 500+ designs, only around 20 are wedding-themed. There’s no automatic integration of registry lists and RSVP management tools. 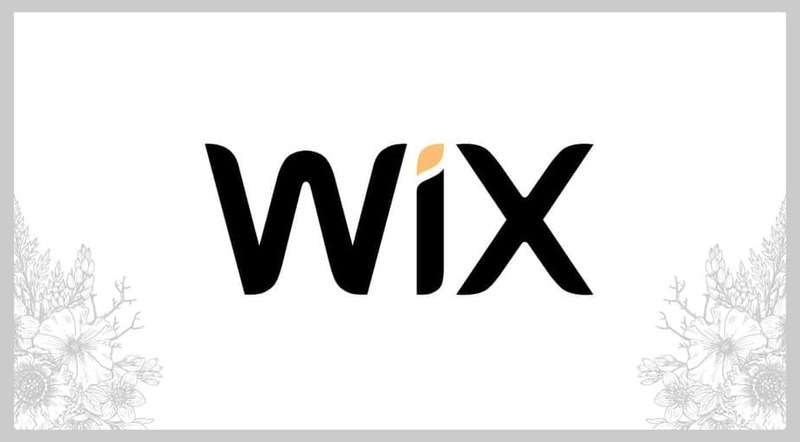 Wix’s free websites include ads, so couples typically opt for the $11/month paid plan. Although not designed for matrimonial purposes, Wix still lands among the top wedding website builders. In lieu of built-in wedding-specific features, you’ll find plentiful apps and workarounds that give you the same features as wedding-only site builders. Wix isn’t right for couples who want to manage every aspect of their big day from one place, but it’s the perfect choice for those who want to fully customize their site without learning how to code in the process. Like Wix, SquareSpace is a website builder for all occasions. With SquareSpace’s drag-and-drop technology, couples can easily edit pre-made templates. The paid service comes with plenty of features. Among the highlights for soon-to-be-spouses are the wedding-specific features, like registry integration and an RSVP manager. You won’t find the tools to choose and manage vendors here, though. You’re also paying for e-commerce functionality, blogging capabilities, and other features you’ll never use. The wedding-specific tools included in SquareSpace compare favorably to other general website builders like Wix, but they aren’t nearly as extensive as those available from specialized sites like The Knot or WeddingWire. For the couples who include an amateur photographer or a selfie queen, the gallery and album features allow you to quickly create the ideal place for storing and sharing your photos online. 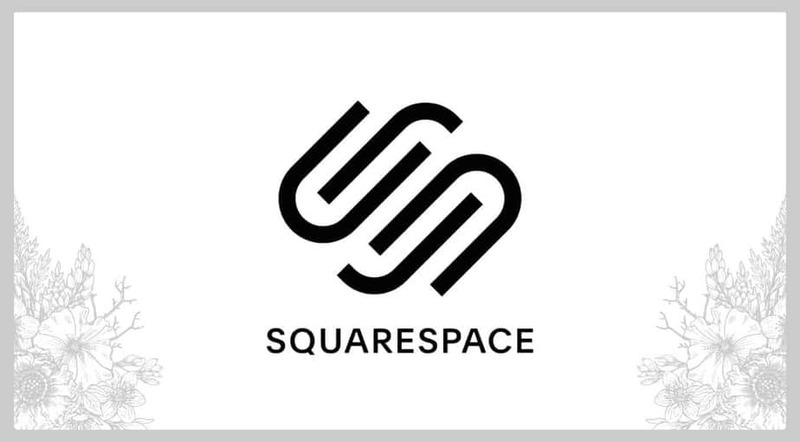 Like Wix, SquareSpace gives users plenty of options to customize their sites, though some users find SquareSpace less intuitive to use. 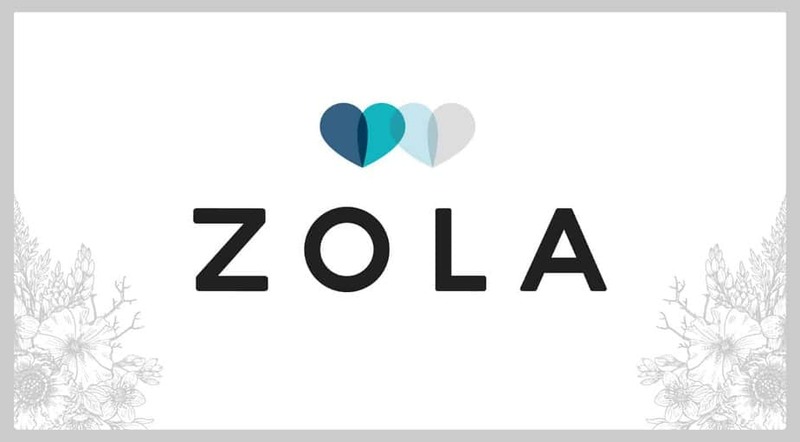 Zola is a high-end registry site that includes a wedding website builder. The extensive registry options include over 50,000 material gift items, as well as experiences and cash funds. There’s also a suite of planning tools, including a vendor search function, a wedding checklist, and many more. While it’s free to build your wedding website on Zola, site users – couples and guests alike – have expressed that many of the registry items are priced high. Be sure to understand Zola’s policies on returns and exchanges to avoid any surprises. 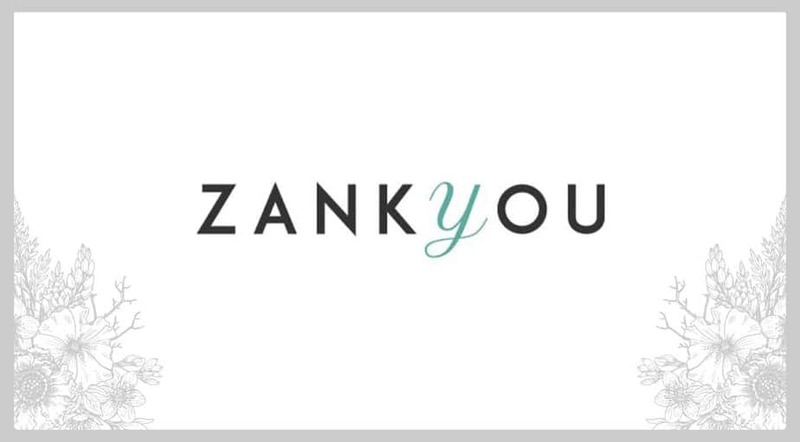 Another registry-focused wedding website builder is Zankyou. Unlike Zola, Zankyou’s registry is for “couples who don’t need to fill up their homes with physical gifts.” If you’re hoping for cash gifts to fund your honeymoon, register through Zankyou and let guests put the money right into your PayPal account. No worries about going to the bank or misplacing checks. In branching out into wedding website development, Zankyou has added lots of useful and fun features. These include necessary stuff like maps, agendas, and RSVPs, plus a virtual guestbook, a collaborative playlist, and photo and video sharing capabilities. Plan your big day with free tools such as vendor and venue searches, a table arrangement creator, and guest management functionality. If you prefer traditional wedding gifts or find the focus on cash gifts a little gauche, Zankyou might not be right for you. However, if you’d prefer to receive cash and your guests know it, this website builder is a great choice. Get what you need – cash! What is the purpose of a wedding website? The main purpose of a wedding website is to allow the couple to share information with wedding guests. More dynamic than printed invitations and less time-consuming than calling upwards of 100 wedding guests individually, wedding websites offer an opportunity to get important, developing information out to many people in a short span of time. Beyond broadcasting announcements, wedding websites can aid in planning your big day. The sophisticated sites created with the best wedding website builders can integrate budgeting, vendor management, and RSVP tools. The wedding website streamlines and simplifies the process for guests and for the happy couple. Some couples love exploring the fun little “extras” wedding website builders have to offer. After all, what better way to take a step back from the stress of planning a wedding and really bask in the excitement of your big day approaching? For these people, the purpose of the wedding website is to help them enjoy the moment. Reminisce with your spouse-to-be as you write your own love story to share with your guests. Create your own personalized app that family and friends won’t be able to stop talking about. Invite your guests to help you curate the perfect playlist to get the party started. Indulge in luxury site designs and matching stationery (even if your budget for real-life extravagances is limited). How much does a wedding website cost? Planning the wedding of your dreams is expensive. Couples can easily spend tens of thousands of dollars on their big day, and high-end luxury weddings can cost upwards of 6 figures. Fortunately, wedding websites don’t have to subtract from your budget. The cost of creating your own wedding website can range from a few hundred dollars down to nothing at all. For couples on a budget, the good news is that many of the best wedding website builders are free. You might be surprised how much you can get for no cost. There are free wedding website builders that incorporate stress-saving planning tools, hundreds of designs to choose from, and even a personalized mobile app for your wedding. Don’t just think about the cost of your wedding website builder. Consider the value, too. Whether “value” to you means luxury runway-inspired designs or functional features like the ability to create multiple events with separate RSVPs, a paid service might be worthwhile if the features make your life easier. Just as you can find deals and discounts on your wedding vendors, there are ways to reduce the cost of your wedding website. Look for promo codes and special sales that will save you money, either on the website builder itself or on other aspects of your big day when you sign up for a paid account. How do I start my own wedding website? Developing an entire website devoted to your wedding might seem daunting. Fortunately, starting your own wedding website is easy. You don’t have to know computer programming languages. Being tech-savvy helps, but basic computer skills are all you really need to create a beautiful and functional site. The first step to creating your own site is choosing a wedding website builder. This crucial step can be challenging, because there are so many options to choose from. While any of the best wedding website builders on our list is worthy of consideration, couples must weigh their top priorities to figure out which site builder best meets their requirements. Once you’ve created an account with your chosen website builder, you will pick a design template to start setting up your site. Don’t forget to upload your photos to truly personalize the website. Some website templates are easier to customize than others, with user-friendly tools like drag-and-drop editors. Don’t forget to incorporate the planning tools you’re using to prepare for your big day. Some of the best wedding website builders let couples manage everything, from vendors to RSVPs, in one place. 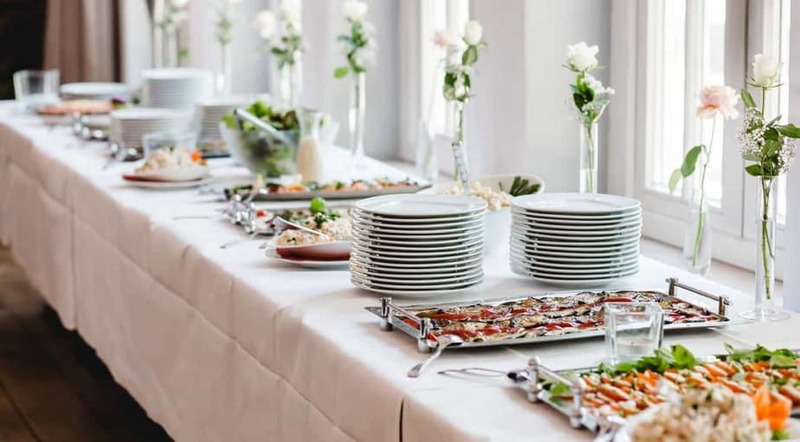 Making use of all of the tools at your disposal can really save you time – not to mention your sanity – when planning the perfect wedding gets hectic. When should you create a wedding website? If you’re wondering when you should create a wedding website, you might worry that friends and family will think you’re rushing into building your site too soon – or that you’re falling behind. Here’s the easy answer: It’s never to early to create a wedding website. Many couples launch their wedding website as soon as they get engaged. In these early stages of wedding planning, your site may tell friends and family members about your engagement. As your wedding plans progress, you’ll start filling in the details. Once you book your venue, you can announce the date, time, and place on your website to correspond with your virtual or printed save-the-dates. You will update the site throughout your journey to the altar, adding information such as hotel recommendations, your wedding weekend schedule, your registry, and perhaps an option to RSVP online. Don’t worry about completing your wedding website in one sitting. The benefit of an online wedding resource over printed correspondence is that you can keep updating it over time. For couples who worry that they waited too long to build a wedding website — it’s going to be okay. Just as it’s never too early to create your wedding website, it’s almost never too late to do so, either. You can create a simple and elegant wedding website in just a few minutes with one of these top site builders. 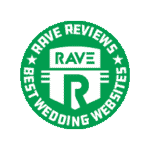 What are the best wedding websites? It’s not easy to narrow down the countless options for creating a wedding website. Couples around the world are counting on our ranking of the best wedding websites, and we won’t let them down. Our reviews take into account every piece of data to make sure you’re getting the most dependable information possible. A more expansive discussion of our ranking methodology is below. The Knot was our pick for the best wedding website builder. But there are a lot of close contenders to consider. 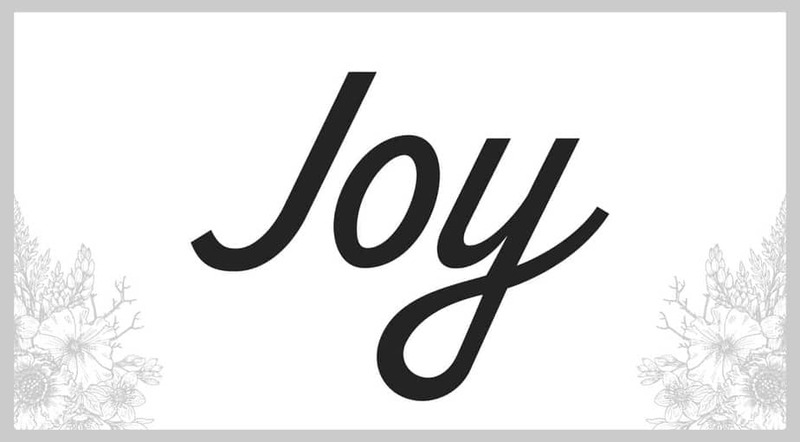 Frugal couples who want cutting-edge features without the cost can check out Joy, the site we named Best for Couples on a Budget. If you want more features at your fingertips, Appy Couple offers the Most Interactive Features. There’s a wedding website builder for every couple, from those with lavish tastes (Riley & Grey) to the cost-conscious (WeddingWire) and everywhere in between (Minted). The best all-purpose site builders for engaged couples are Wix and SquareSpace. Zola and Zankyou are the best combination registries and wedding website builders. With this information, you’re more than ready to make your choice on the best wedding website builder for you. Wedding planning is hard work! Reward yourself with these must-have products to make planning easier — or just give yourself a well-deserved break. Wedding Website Stickers: Easily let guests know where to find your wedding website with these handmade, personalized stickers. The Knot Ultimate Wedding Planner & Organizer: Keep everything organized with this “indispensable” binder-style planner from our favorite wedding website builder, The Knot. Lillian Rose Wedding Planning Stemless Wine Glass: Relax after a long day of dress shopping, crafting, or vendor hunting with a glass of your favorite wine in this stylish and humorous novelty wine glass. ‘The Groom’s Instruction Manual: How to Survive and Possibly Even Enjoy the Most Bewildering Ceremony Known to Man’: Grooms have nothing but glowing praise for this lighthearted book of wedding day “survival tips” (and there’s a Bride’s version, too!). Jewelry Wipes by Bling Wipes: Keep that diamond sparkling day after day with these convenient, individually wrapped jewelry wipes, perfect when you’re on the go.